Berkery, Noyes & Co. advises Weaver Publications, Inc. in its sale to Prospect Partners, LP. - Berkery, Noyes & Co., LLC. Berkery, Noyes & Co. advises Weaver Publications, Inc. in its sale to Prospect Partners, LP. 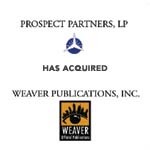 NEW YORK, April 8, 2004 — Berkery, Noyes & Co., LLC announced today that the firm represented Weaver Publications, Inc. in its sale to Prospect Partners, LP. Weaver Publications is widely recognized as the leading custom publisher for the convention and visitor industry. The Company partners with select convention and visitors bureaus to produce top-rated tourism publications in over ten growing markets. 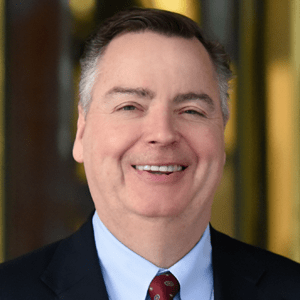 The company, which is located in Denver, Colorado, will continue to be managed by the Company’s Founder and CEO, Peter J. Koclanes. Berkery, Noyes specializes in investment banking for the information, publishing and communications industries. Among the most recent transactions completed by Berkery, Noyes are McGraw-Hill’s divestiture of Juvenile Retail Publishing Businesses to School Specialty, Taylor & Francis in its purchase of Marcel Dekker, SCP Communications’ divestiture of Cliggott Publishing and The Oncology Group to United Business Media, ProQuest Company in its purchase of SIRS Publishing, Inc., National Physicians DataSource, Inc. (The Little Blue Book) on its sale to WebMD Corp and Reed Elsevier’s divestiture of Marquis Who’s Who to WL Ross & Co.
Berkery, Noyes & Co. clients range from small firms, often seeking a buyer, to most of the major international information companies, who use the firm’s expertise in locating, analyzing and negotiating with acquisition candidates, as well as in managing divestitures. The firm operates with a staff of twenty-five professionals serving the information and publishing industry from offices in New York and Boston. For more information on Berkery, Noyes, visit www.berkerynoyes.com. Prospect Partners, LP is a $105 million private equity fund focused on management-led leveraged acquisitions of lower middle market companies with niche strategies. For more information on Prospect Partners, visit www.prospect-partners.com.